The Saskatchewan Roughriders’ Grey Cup Legacy Project will enter the final phase later this month. Contractors will soon begin site preparations at Historic Mosaic Stadium to decommission the north and south end zone structures. The Grey Cup Legacy Project was unveiled in 2012 when the Saskatchewan Roughrider Football Club prepared to host one of the single biggest events in the history of the province – the 101st Grey Cup. To host an event of that magnitude, Mosaic Stadium required a major upgrade. Thus, the club invested $15 million in an expansion project. Funding for this project came from the Saskatchewan Roughrider Football Club with the support of the Province of Saskatchewan through a $6.2-million loan. 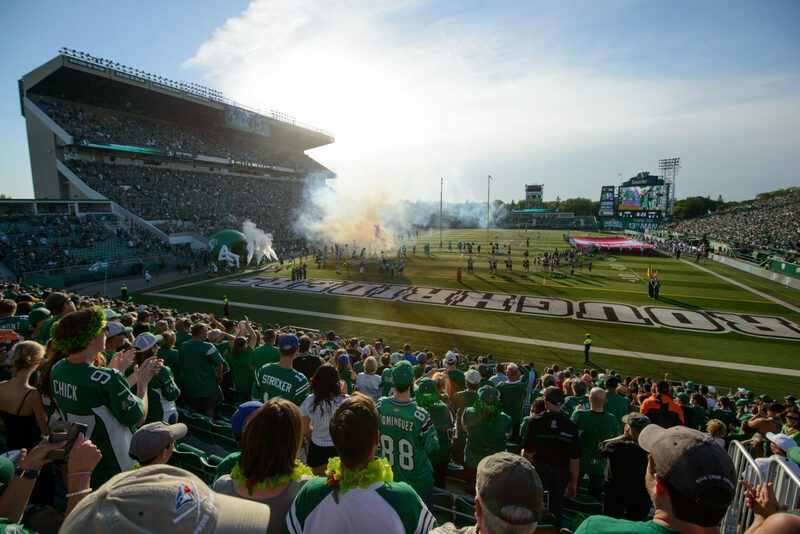 The structure used for the expansion was built on a semi-permanent basis, which allowed the north and south end zone sections to be repurposed for use in other Saskatchewan sports and arts facilities, providing a legacy component to the 101st Grey Cup. An update on the overall decommissioning plan will be made by the City of Regina later this summer.